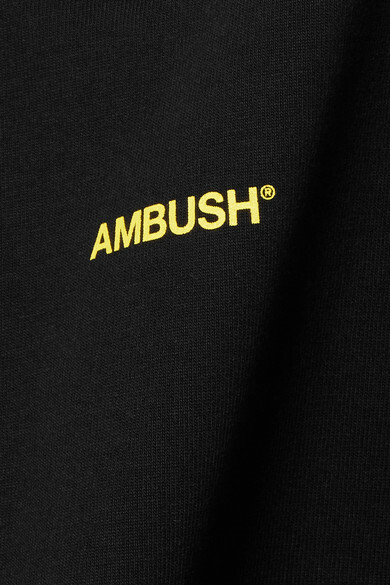 AMBUSH® design duo Yoon Ahn and Verbal are inspired by Japanese subcultures and experimental silhouettes - so even traditional pieces like T-shirts are completely re-imagined. 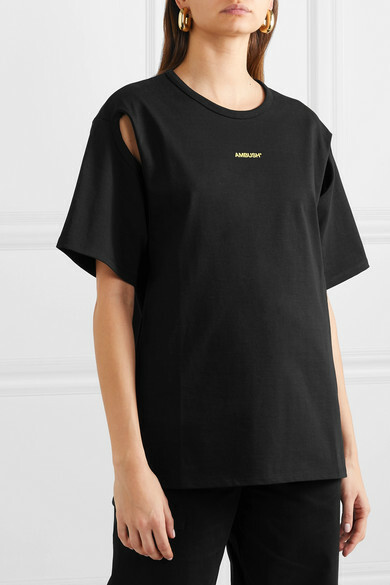 Made from black cotton-jersey and printed with contrasting yellow lettering across the front, this version has a relaxed fit and slashed sleeves. 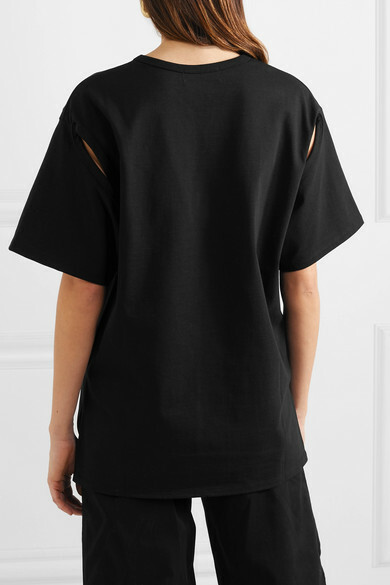 The dipped hem makes it so easy to half-tuck into denim. 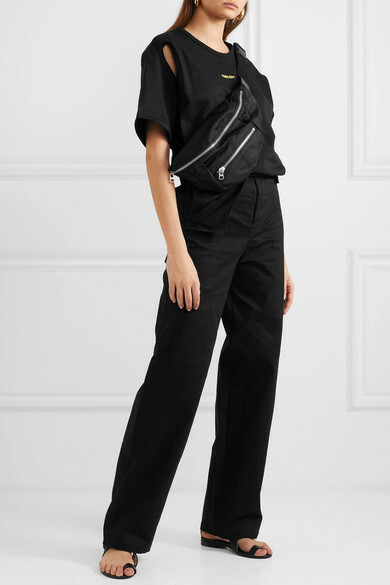 Shown here with: The Range Pants, Isabel Marant Belt bag, Chloé Sandals, Ellery Earrings.